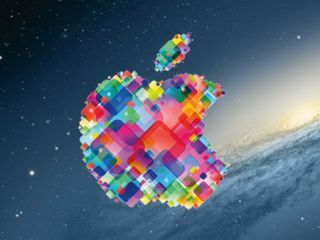 Highlights from Apple WWDC 2012 in San Francisco | What Hi-Fi? What will tonight's announcements bring? iOS 6? New MacBook Pro or Air? iPhone 5? Apple iTV? OSX 10.8? OK, looks like that's it for tonight folks, Tim Cook is bringing proceedings to a close. Thanks for following us. Google Maps being ditched in favour of Apple's own. Built-in turn-by-turn navigation, realtime crowdsourced traffic data. iOS 6 will be available this autumn, will support phones from 3G S onwards and the new iPad/iPad 2. Available now for developers in beta. FaceTime video calling comes to 3G, no longer just via wi-fi, and a 'Do Not Disturb' function can be set so that incoming calls/texts don't ring except from the people you've selected. Now that we like! iOS 6 also gets Photo Stream sharing with friends, like Facebook. And there's a new app called Passbook for boarding passes, film tickets, store cards and so on. Nifty. Siri on iOS 6 allows you to open apps by voice. General Motors, BMW, Toyota, Audi, Mercedes, Honda and Jaguar have all agreed to put a Siri button in their cars. Interesting. Full version of Siri will be available on the iPad with iOS 6. And, as expected, there's Facebook integration with the ability to share from apps like photos, Safari, plus contact list and calendars. Good, looks like we're about to get the iOS 6 news we've been waiting for. iOS 6 comes with 200 new features, including Siri improvements, expanded iCloud. Will Facebook be integrated too? Total number of iOS devices sold to end of March 2012 is 365 million. Now moving on to OSX. And here comes Mountain Lion, with hundreds of new features, including built-in support for iCloud. Looks very like iOS and you can now get iMessages on your Mac. AirPlay mirroring coming to your Mac too, which will let you play games head-to-head with iOS devices on your TV. Mountain Lion will cost $20, available from next month, you can upgrade from Snow Leopard or later. Lots of talk about computers, but what about iOS 6? It's being billed as "the world's most advanced mobile operating system". New MacBook Pro (below) gets Ivy Bridge, up to 2.7GHz, GeForce GT graphics. The 15in model gets quad-core graphics. Next-gen MacBook Pro is much thinner at just 0.71in, weighs under 2Kg. Gets a 2880 x 1800 resolution, 220ppi Retina screen. But there's no CD/DVD drive. OS, Mail, iPhoto, Final Cut Pro everything's been updated for the new MacBook Pro's Retina display. Spec includes quad-core i5 or i7 processors, up to 15GB of RAM, 768GB internal flash memory. Battery life is a claimed seven hours, 30 hours on standby. Prices for new MacBook Pro start at $2199. Pricey then. Shipping starts today. So Apple's 23rd WWDC is underway, and so far the technology firm has announced new MacBook Airs (below), with up to 60% faster grapics, 512GB of Flash storage and USB 3.0. They also get a 720p FaceTime camera, and shipping starts today in 11in and 13in sizes. Prices start at $1000 for the 11in model. Apple's Worldwide Developers' Conference (WWDC) kicks off at 6pm UK time tonight, and in preparation for a raft of rumoured new product announcements the Apple Store has been taken offline. As ever the rumours are swirling, with Apple boss Tim Cook expected to unveil the new iOS 6 platform for iPhone, iPad and iPod Touch, as well as (allegedly) Siri voice control for the iPad, deeper Facebook integration on Apple devices, plus an overhaul of the iTunes and App Stores. On the hardware front, there may be new MacBook Airs and MacBook Pros, but don't expect the iPhone 5 or long-awaited iTV – they're still some way off we reckon. What would you like to see from Apple this time? Let us know in the Comments box below. WWDC runs from June 11-15th in San Francisco.